4 people included in the price, max. 6 per plot, Pensioner’s rate: 2 people included, max. 4 per plot. 1 Vehicle included in the price, max. 2 per plot. If you need a separate invoice for each plot, then you please need to send a completed booking form for each. With acceptance of your completed booking form, we will send you an invoice with the necessary payment details. Please don’t pay before you’ve received your invoice. Subject to availability. Failure to pay as per given dates, will lead to the cancellation of your booking without prior notice. Management reserves the right to evict any person who does not comply with the rules. No repayments will be made to guests if they decide to depart earlier than booked or if they get evicted due to breaking of the rules or inappropriate behavior. Please report any offences at the office, also any breakages or damages that you see around the terrain. No load music allowed, which might disturb your neighbors in any way. After 22:00 it needs to be fairly quiet, no music allowed. Please respect your neighbours. Report any disturbances to management. Park your vehicle on your own campsite or on the designated areas. Please drive slowly in the camp. Many small children riding their bicycles and running around. Please keep all the facilities neat and tidy after use. Children under the age of 10 years, must be accompanied by an adult when using the ablution facilities as well as the swimming pools. People visiting campers pay R30 per vehicle entry fee. Sleepover guests are allowed, only if you do not exceed 6 people per plot (4 people on the pensioner’s rate) and 2 vehicles. PLEASE arrange beforehand at the office. R100 payable if you lose the electronic disc (tag) which you receive to enter main gate. Use all facilities at own risk. 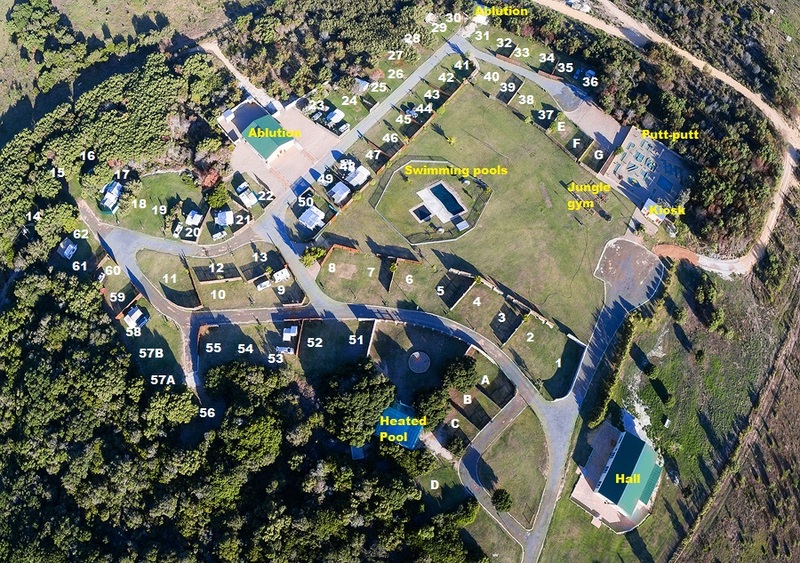 I hereby acknowledge that I have read and understood the terms and conditions of Strandskloof Caravan Park and shall convey the contents to all of my guests and/or any person part of my booking.